My friend Amy, pictured left with our friend Darcie, cannot recommend her Hydrating Shampoo and Conditioner, by David Babaii for Wildaid enough. "Well I actually find that the shampoo and conditioner are actually the best ones for my hair. Its honestly changed the look, feel and strength of my hair. Its so much healthier and its repaired most of the damage done by straightening/colouring/ other shampoos!!" 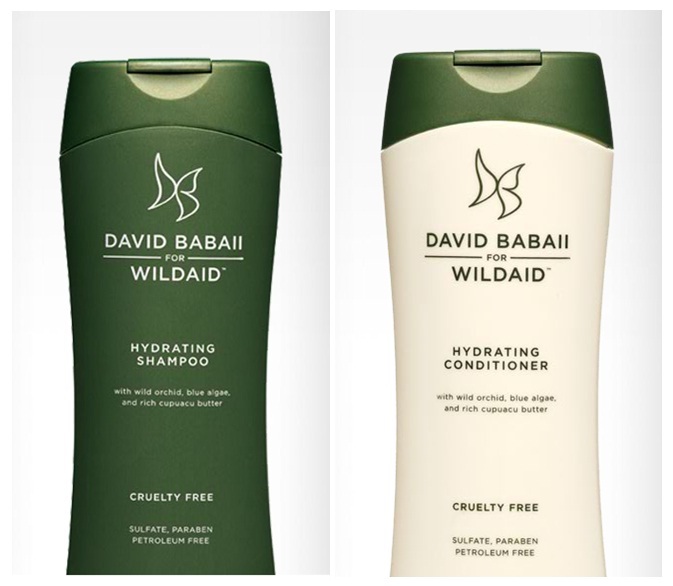 David Babaii for Wildaid uses a blend of natural renewable ingredients in the making of their products, which include volcanic ash from the Vanuatu Islands, Blue Algae, butter from the South American Amazon and Polynesian White Ginger. Their products are also parebens, petrochemicals and sulfates free, and are not tested on animals, nor do they include any animal products. Ten percent of all profits are also donated to Wildaid, a global organisation which helps save endangered animals. Oscar winning actress, Kate Hudson has also partnered with David Babaii and Wildaid to represent and bring attention to animal rights advocacy through the haircare and styling range.